This brilliant canvas reveals Sam Francis at the height of his creativity, when he responded to the natural world through his distinctive painting language. Divided into fields of warm and cool tones, the picture is a tumbling accumulation of cell-like forms, realized through soaking and dripping paint. 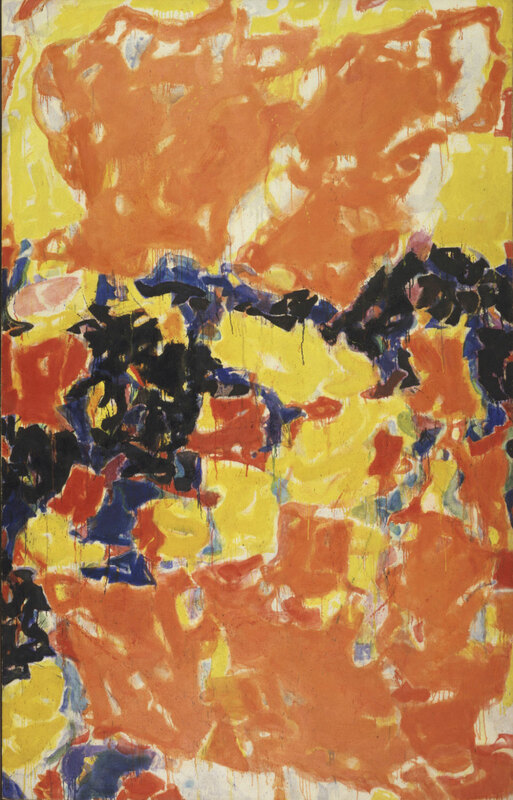 While the artist’s dynamic colors and nuanced exploration of the painting process place him squarely in the context of Abstract Expressionism, Red, which Francis painted in Paris, also represents his lifelong homage to Impressionism and Fauvism. Indeed, this unique marriage of elements from American and French painting traditions remained the hallmark of Francis’s work throughout his career. Susan Rosenberg and John Vick, from Philadelphia Museum of Art: Handbook. Philadelphia: Philadelphia Museum of Art, 2014, p. 352.